Ounce again, I'm putting the 30-Year-Base to the test. If you have been involved in an endurance sport (running, cycling or triathlon) for less than 5 years, with all due respect, skip right to the end of this post for the final good news. It's at times like this that I'm thankful that I've been doing what I have for the last 30 plus years. You see, there is a huge advantage to having a massive base of aerobic fitness that you can tap into. You can do things and get away with things that the newer athlete can't. In a few weeks we are off to Cuba again for some cycling with some pretty serious road cyclists. I'm really looking forward to it, and again, my goal is the same - don't get dropped! Because of the big base of fitness that I have, over a relatively short period of time, I can elevate my regular fitness to a higher level reasonably "quickly". It's not easy, and it does not come without some genuine, hard and concentrated work, but I always surprise myself, how quickly the fitness does ramp up. I've been using several different sessions on the indoor trainer, coupled with steady state riding on the rollers on the "off-days". 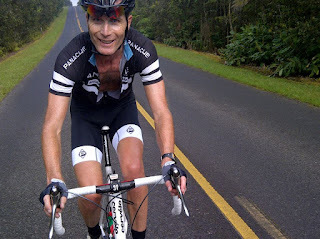 I dug into some old training logs, and also read up on "Sweet-Spot" intervals. As a classic "pursuit-style" rider my whole life, these are the kinds of sessions that I both "enjoy", if that's the right word, have a high impact, and ramp up my fitness quickly. The other two sessions I've been doing are NOT so enjoyable (to be honest they are ugly, brutal and painful) - but are also high-impact: T-Max sets, as well as one minute All-Out bursts with almost full recovery - I've always been the, world's worst sprinter on the bike, but these sprint sessions forces me to activate and work this range and the five fast-witch muscle cells I have in my whole body!! Both these sessions have me on the trainer for 60 minutes or less. A painful, 60 minutes - but a productive, 60 minutes! And it's all coming around - a month in and with just two weeks to go, I can feel the legs and the lungs coming around. I'm looking forward to the trip to Cuba, and fingers-crossed, not getting dropped from the main group. The good story to end this with and for the newbies just joining back in now, THIS is one of the key up-sides and advantages to hanging in there for the long-haul with endurance sports. Once that serious, long-term aerobic base is established (roughly 5 years or more), you can whip yourself back into some pretty decent form over a relatively short period of time. The BIG base is helpful in other ways. When you have some down-time either by choice (vacation, taking a break etc , .) or by force (injury, sickness), the loss of fitness tends to be more minimized the bigger your overall fitness and aerobic base is, and the quicker you will return to good to great form! Can Sport Still Awe & Amaze Us? 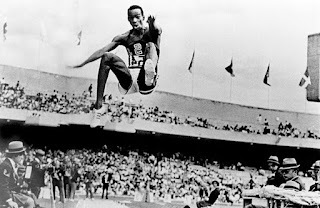 One of my first distinct memories of the Olympic Games was watching the Long Jump competition at the 1968 Mexico Summer Olympic Games as a 7-year old live on TV - back when NBC actually showed stuff live! That was where American Bob Beamon broke the then world record of by an almost preposterous amount of nearly 2 ft( about 50cm), to push the new record to 29ft. 2 1/2 in.(8.90m)! That record stood for 22 years, until another American, Mike Powell broke it in 1991. I looked on, watching on TV, in true awe and amazement. Even Beamon was completely overcome with emotion, not by the win, by by the magnitude of what he had done - ounce it sunk in. He fell to the ground and was unable to get up or walk for a good long time after the distance was announced. He had jumped so far, it was almost beyond the measuring system they had in place! It was beyond what many thought a human could jump! But it was all real! Later that day I was out in our back-yard with my Dad. He got out a tape measure and we measured off 29 feet. I stood at one end and my Dad stood at the other and I had my second moment of awe and amazement looking at my now distant Father and wondering, "How could someone jump THAT far"? Do we still feel that sense of awe and amazement today, when new records or sport performance reach new heights that seem, exceptional? I wonder. The first final of the Rio Olympic Games in Athletics was the women's 10,000m race. In that race, running only her 2nd 10,000m on the track Ethiopian Almaz Ayana crushed the standing 10,000m record for women, running an astonishing time of 29:17.45 - completely solo! She left a field of world class runners WELL behind breaking the previous record by 14 seconds! It was one of those extraordinary Beamon-like performances, that has announcers running out of superlatives. However, no sooner than the diminutive Ayana was across the line and social media started to light up with talk of how, the record could NOT be "clean"! After all, the the record being broken, set by the Chinese runner, Wang Junxia was, almost for certain set by a runner using some form of Performance Enhancing Drug (PED). A number of the Chinese women who were part of that training group, called "Ma's Army", after their coach, Ma Junren, have admitted they were all using PEDs of one form or another at the time! Consequently with controversy and questions swirling around it's hard to be in awe and to be amazed any more. The true believers, the really naive, and many sport officials, will say - "Look, there are no positive tests". We have to conclude they are clean". But we know now, that athletes can be tested over the course of their careers hundreds of times, and never turn in a positive test. Exhibit-A in this regard would be Lance Armstrong - tested hundreds of times, never positive (one suspicious), and 7-Tour de France wins! Of course, as we know Armstrong admitted after-the-fact that he was using various PEDs all along and stripped of all of those Tour de France wins. Who can we believe? What are we to make of exceptional and extraordinary sports performances now? Are we to be immediately skeptical, or can we to look on in a state of awe and amazement? My Race/Event Announcing work this year reached some form of a huge peak in the last week! On Wednesday, I flew to Halifax to work with the RunnerSpace crew on the live stream broadcast of the Aileen Meagher Track Classic at St Mary's University - part of Athletics Canada's National Track League Series (NTL) in the run-up to the National Championships and Olympic Trials in Edmonton, that start next week. It's always a pleasure to work with Bob Akamian on the commentary. The Halifax meet was extremely well organized. The high-light being hurdler Nikkita Holder achieving the Olympic Games qualifying standard - something she was hoping and needing to do before the actual Olympic Trials. I flew home Thursday. Friday night it was time for the New Balance Guelph Inferno Road Mile - right in downtown Guelph. This is always a fun event to work at. More communities should look into holding Street Mile runs like this! 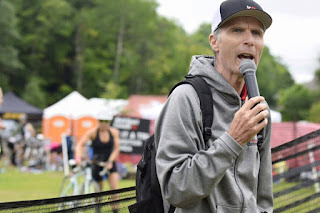 Then it was on to Welland, for the Day-1 of the Rose City Triathlon on Saturday Morning - Race #2 in Multisport Canada's season lone ReCharge With Milk Triathlon Series. This was the 10th year for this awesome race, but in a new home, at the Welland International Flat-Water Center in Welland, ON - home of Canoe/Kayak Competition at the PanAm Games last summer. 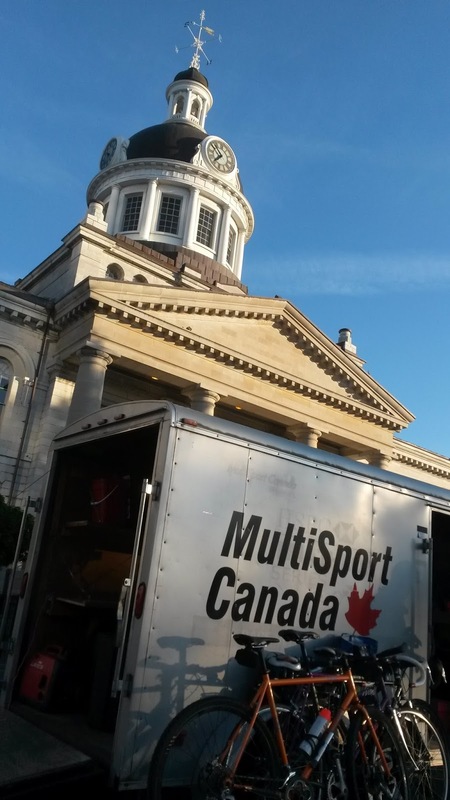 This may be the perfect triathlon event location in all of Ontario, and perhaps all of Canada! The Welland International Flatwater Center, may be the BEST triathlon race venue in Canada! After I wrapped up at the triathlon for the day, Multisport Canada Founder, John Salt and I appeared via video link at an important conference in Ottawa organized by The Tandem Project on Para-Sport! After that it was time to drive back to Guelph to work ounce again with the RunnerSpace team on the live stream of the New Balance Guelph Inferno Track Meet at Alumni Stadium on the campus of the University of Guelph on Saturday night - another of the Athletics Canada NTL Meets. Bob Akamian and I were joined on the show by two-time World Champion Hurdler Perdita Felcien. It was an honor and a pleasure to work with Perdita. My role, on the commentary was to provide track-side analysis, and post race interviews with race winners when we could fit them in. 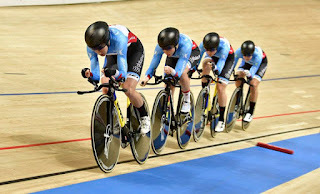 The meet concluded with the Canadian 10,000m Championships on the track for men and women. Olympic Marathoner Eric Gillis won the men's race and PanAm Games Marathon Bronze Medalist, Rachel Hannah won the women's race. Other highlights included, Taylor Milne getting the Olympic Standard in the 3000m S/C and breaking the track record in the process! At the conclusion of the meet in Guelph, it was time to drive back to Welland for Day-2 of the triathlon there on Sunday - the featured long-course race being run over some new distances - 2k swim/56k bike/15k run. 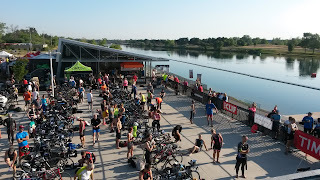 Conditions were hot and windy, but nearly 400 triathletes competed had a great, time and marveled at, again what an awesome triathlon race location the International Flatwater Center is! I'm taking it easy this week and weekend! I have a busy schedule of race/events that I will be working at this year as Race/Event Announcer. Below you will find my schedule. I love doing this. It's a great privilege and honor to be involved in so many amazing race/events over the course of a year. Safe and happy training to you all. I look forward to seeing you on many start lines and being a small part of your dreams and ambitions at the finish line. I first heard the term, "The Magic Show" in the context of endurance sports events, from 8-time Ironman World Champion Paula Newby-Fraser, when Paula was working for Graham Fraser, when Graham was running all of the Ironman races in North America. Paula was referring to the Magic Show that was the travelling road show that was Ironman at the time - moving from race location to race location, arriving in the Ironman race site, in town-x, and transforming the race site, into the amazing thing that the Ironman race site was with all the bells and whistles! But this could describe almost all triathlons, running and cycling events. The Magic Show goes on all over the place at thousands of events every weekend! Endurance sports races/events, be they triathlons, running or cycling all do this. They transform a city street, a park, a conservation area, where ever the race is, into what the race/event participants see on race day. Almost everything, be it the finish gantry, the porta-potties, the signage and so on, has to be brought in and set up. The transformation for some of the bigger races - say the big city Marathons, or the Ironman triathlons can be extraordinary. However, the work, and the magic, that goes into even mid-sized races/events, is substantial! I am the official race and event announcer for the ReCharge With Milk triathlon series in Ontario that is run by MultiSport Canada (MSC). These are triathlon events that can have upwards of 1,000 entrants. The series itself is 11-events stretched out over the course of the summer in Southern Ontario. It's the largest triathlon series in Canada! 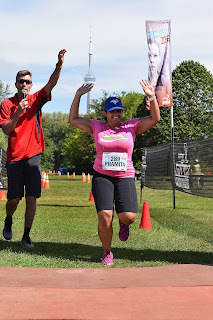 At each event venue, be it a quiet conservation area, or a busy down-town location in a mid sized city, the Magic Show goes on and they transform the place into an awesome race venue for the athletes. With a triathlon you are really putting on three races - a swim race, a cycling race and a running race, with a transition area, a space for an Expo and then the finish area infrastructure. It's a lot of work to get this all organized and set up and each race site is unique. The minute details - just keep coming and coming: Heavy rains the week before have made a part of the what was supposed to be the transition area boggy. A change in road permitting, will not allow access to a certain road. Last minute road construction that was not communicated can close roads. And so on! The MSC crew move all their stuff in and out for each event in the series - it's remarkable to watch the set-up and the tear-down that happens and the work that goes into all this! Nothing seems to phase the MSC crew - even horrific race-day weather - which is rare, but NEEDS to be planned for with details, is all worked out in advance, so when they face it, there is a plan and you implement it. Nothing is left to chance! That's part of the Magic Show to! Although, that's not really magic, just extraordinarily amazing planning and implementation! I've often said, if you want to hire a Race/Event Director - hire a Triathlon Race Director, because, they are not putting on one race, they are putting on three races simultaneously! Race participants know none of this. They just show up and expect that everything will be in place. That there will be no wait at the porta-potties and that the 10K run is . . . measured to be exactly 10K. (With mobile GPS now, even course length accuracy is very important). That everything will be taken care of for them at the race. The expectations for running, triathlon and cycling race/event participants these days are VERY high. 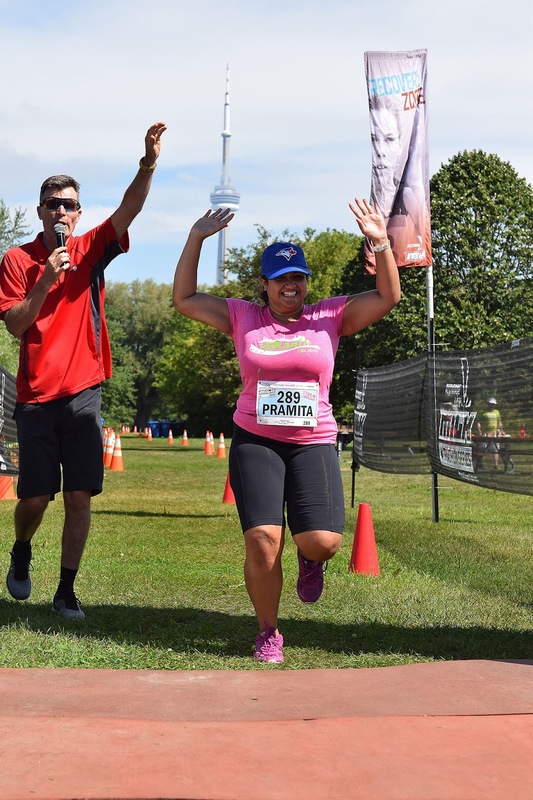 An event management company like MultiSport Canada knows this, and they go overhead and above to make it a great experience for each and every participant. MSC Founder John Salt* even stands just past the finish-line at every race and shakes the hand of every person that crosses the finish line. I've heard John say, "If you want to know if an athlete had a good time at your race, just stand at the finish-line and shake their hand. If they have a good or bad day they will tell you right there. In 14 years, I've only had a few that were unhappy"! Now that's being in touch with your customers! And that's the story of the Magic Show! * Some bonus content: A podcast - Bob Babbitt interviewing MSC's John Salt http://www.babbittville.com/babbittville-radio/john-salt/ A great listen!